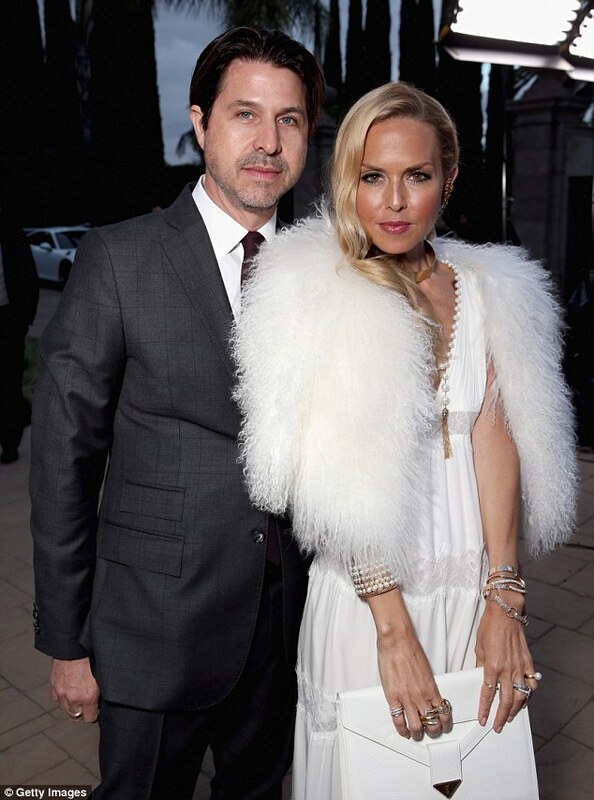 Rachel Zoe attends Goldie Hawn's event in all white. Fashion designer Rachel Zoe did not spare any expense when she attended Goldie Hawn’s event in Beverly Hills. Friday Night Rachel and his husband Roger Berman showed us what it meant to be America’s distinguished fashion designer. Furry white coat, gold choker, pearl necklace and white dress, Rachel Zoe really knows how to present herself in front of the audience. 44 years as of now, she definitely didn’t look that old with the awesome sense of dressing. After that, she took off her fur cloth to show more off her white dress for some solo photo shoots. Roger, on the other hand, looking handsome in dark gray suit styling his hair with gel and together they were looking like a fabulous couple. The following day Rachel Zoe posted a picture of her and her husband kissing her neck with the same clothes on Instagram. The event had included various celebrities like Goldie Hawn and her daughter Kate Hudson. Others include Eric Buterbaugh, Demi Moore, etc.